When did you start wearing your baby/young child? We started wearing Aodhan on day three. We started with a Mei Tai. What is your favorite carrier? 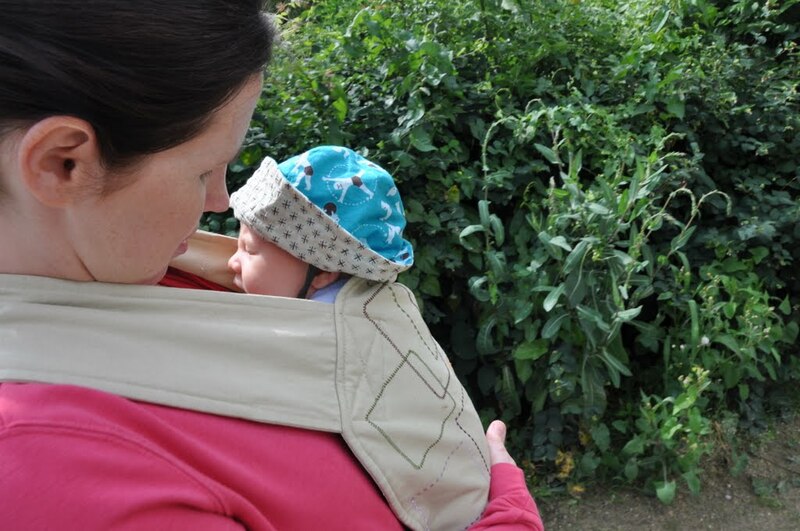 My personal favourite, for versatility, comfort and ease, was the Moby wrap carrier. My husband preferred our Beco carrier. What is your favorite carry? I adored carrying Aodhan in front and facing me. How did you first learn about Babywearing and what were your initial impressions of it? 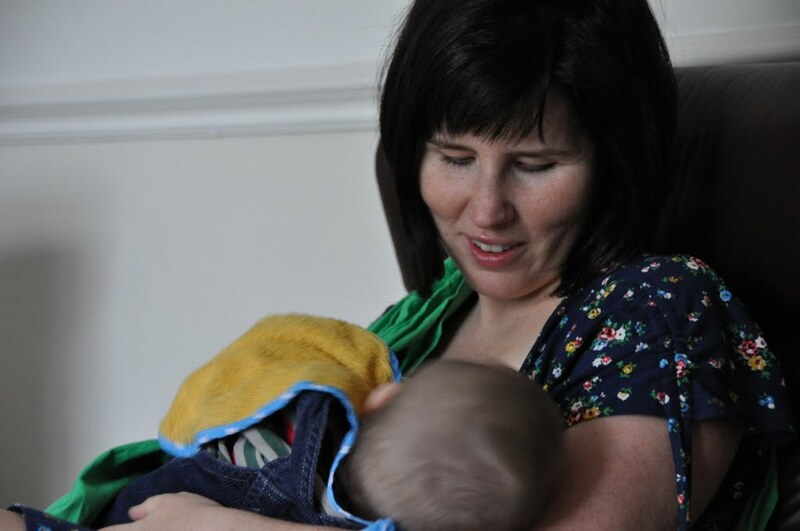 My awareness around babywearing developed through researching and wondering about natural parenting practices while I was pregnant. How many carriers do you own and what are they? We owned many carriers, including our mei tai, a woven wrap, our Moby, a ring sling, an Ergo, a Beco and a structured hiking carrier. Do you have a favorite babywearing story/scenario? 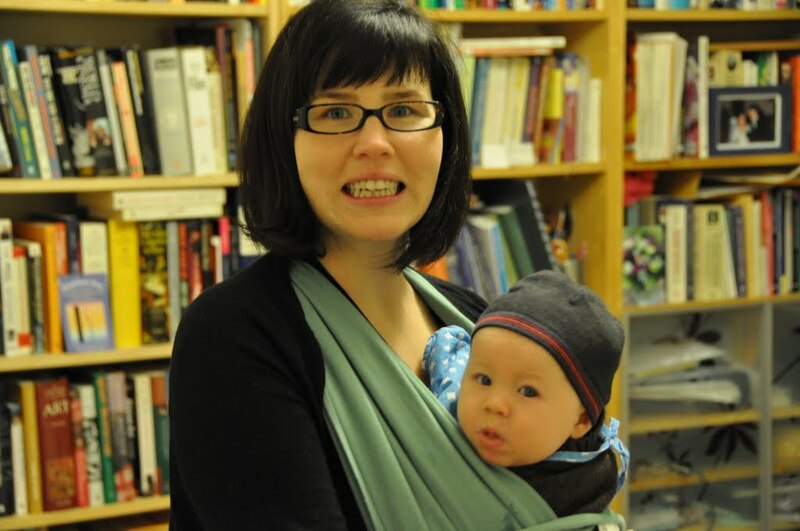 The babywearing story that stands out in my memory, is my first trip transatlantic with our son. We had decided that I would travel alone with Aodhan – Belgium to Toronto, Canada with a stop over in London. It was my first journey back to Canada, after giving birth in Brussels, and Aodhan was only 6 months old. To be honest, I was slightly terrified of the journey. I carried Aodhan in our Moby the whole 10 hours, and was able to nurse him throughout the experience that had both of us a little unnerved. I will never forget the feeling of landing in my home country for the first time with my child and him snuggled close to me in our carrier. What is the strangest or funniest thing you’ve done while wearing your baby? I think a better question would be: what haven’t I done while babywearing. We have shopped, hiked, moved, traveled, shoveled snow, made dinner, gone to the toilet and attended a musical – all with a little love in his carrier. 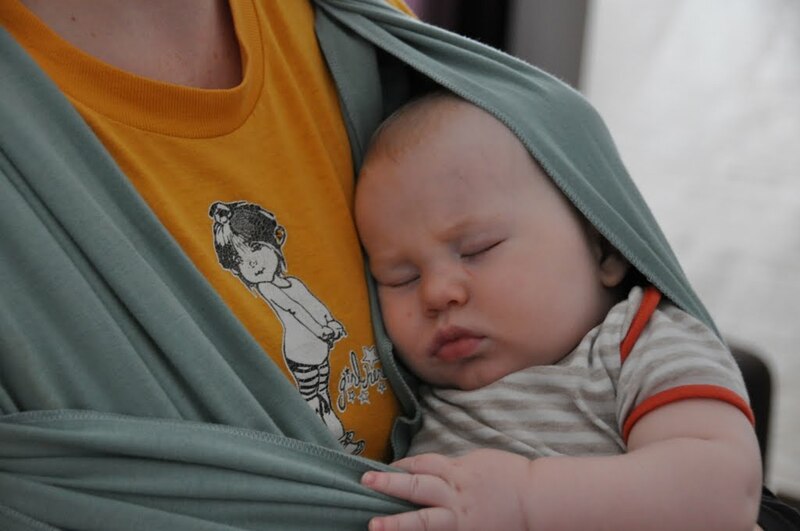 What is your favorite thing about wearing your baby? This is a tough one. I suppose what I loved most about wearing Aodhan was the constant connection I had to him. Babywearing was a metaphor for the attachment we shared in those first two years. The intensity, the beauty, the constancy – all there in the image of carrying him. 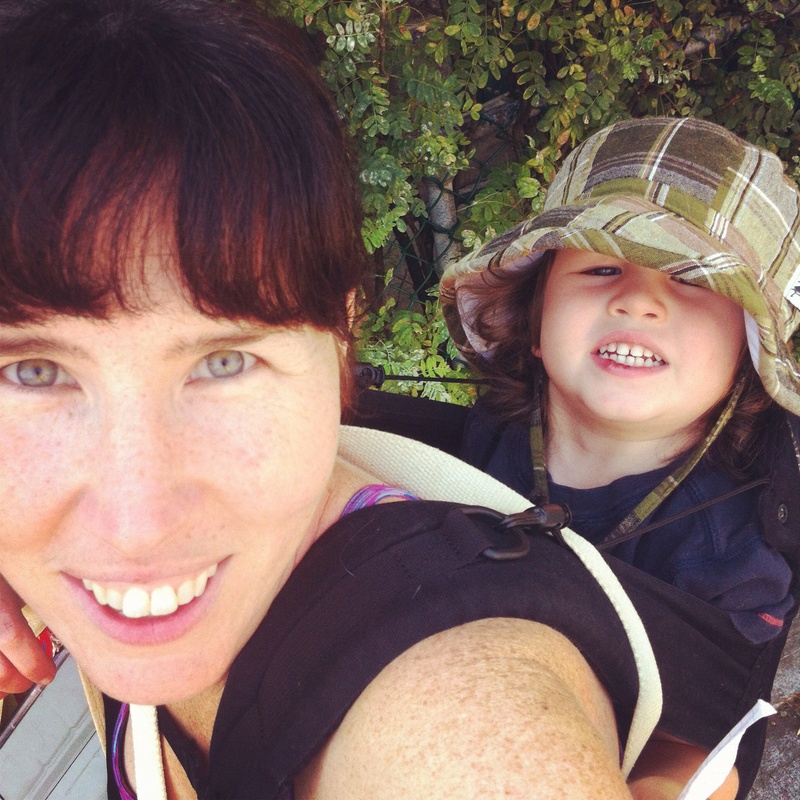 I am pleased to see babywearing increasing in western cultures – even in the four years since I had my son. Trends usually turn me off, but I can’t say that there is a better trend than connecting with your child through babywearing. Babywearing was a major keystone in helping my son developing an authentic bond with his daddy while I was exclusively breastfeeding him for the first 14 months. 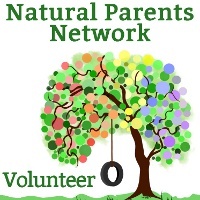 Lyndsay writes at ourfeministplayschool, and various other online periodicals, where she explores the connections between feminism and mothering. She is the mama of a dear boy who is almost four. They live in Toronto, Canada where Lyndsay is a freelance web-developer and social media manager for women-focused/run businesses. Some of her favourite babywearing posts are Babywearing Retrospective and Real Men Carry Their Babies. 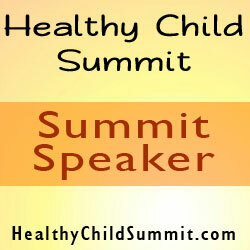 You can find her on Twitter and Facebook.